More and more homeowners are choosing to add a deck to their home. In response to so many readers questions, Ive been posting a series of articles on deck building. The first one starts with design concepts. Newer articles focused on framing concepts, lumber sizes and spacing, and post hole location and setting. The links are at the bottom of this page. If you would rather hire a contractor to handle the job, I always recommend join Angies List rather than playing Yellow Pages roulette. Still, it pays off to research the material yourself. Lets look at decking options. Trex composite: Trexs popularity is due in part because its a green, renewable deck product. Its a member of the U.S. Green Building Council (USGBC). The composite material is composed of wood and plastic fibers that are culled from reclaimed and recycled sources. On a number of on-line DIY forums customers who bought and installed Trex complain that the advertising was false because mold grew on it over time. But the truth is that mold and/or mildew can grow on any product outside the home and the company now makes that point. While its more expensive by the foot than organic wood there is no future investment in yearly re-staining or refinishing. LockDry: LockDry deck and railing systems are made by FSI Home Products. It's strong point is that its made of aluminum which eliminates the problems of dry rot, annual refinishing, etc. The downside, in my opinion, is that it looks too commercial rather than warm and inviting. Ipe hardwood: This exotic hardwood is a great choice as long as youre not an a rain forest activist. Its grown in South America, most commonly Brazil. The primary species includes over 20 sub-species. It has a bending strength is 22,560 psi, twice as much as California Redwood. That makes it great for outdoor projects like decks, gazebos, and swimming pool surrounds. Another benefit is that Ipe has the highest rating for decay resistance and natural termite protection of any other wood according to IpeDepot, which is one of the prime importers. A 1 X 6 (2.54 X 15.24 cm) board will set you back about $2.74/linear foot. 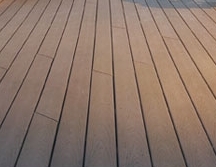 Pressure treated wood: Pressure treated is the most popular material in the deck building industry. Why? It does an superb job of resisting water, heat, frost, etc. Also, its more affordable than any of the exotic woods or engineered wood products. The main reason its so cheap is that it begins with affordable timber and then its infused with a chemical preservative under high, controlled pressure. Prior to 1983, the chemical mixture used contaned arsenic and this gave it a questionable reputation. Today, amine copper quat (ACQ) and copper azone (CA) are used, which are much safer. Bear in mind though, you must use metal fasteners with the proper coating so they wont degrade prematurely. California Redwood: This has always been a popular choice for outdoor projects projects. Redwood stands up well to the problems of checking, warping, cupping, and shrinking. Its attractive as well; it takes on a unique character as it ages. Its highly resistant to decay and naturally guards against pests like termites. The best grades for decking are select heart and construction heart, but there are 2 lower and more more affordable grades. Its actually something of a myth that Redwoods are an endangered tree species. At the time of this posting, 80% of Redwood forested areas are designated as commercial and are certified by the Forest Stewardship Council (FSC) or the Sustainable Forestry Initiative (SFI) program. 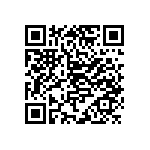 Price varies by grade and availability. Teak: Teak is popular in boat construction because of how well it holds up in the harsh marine environment. This is the same reason it works so well with decks, pergolas, and gazebos. Its harvested in Southeast Asia and is quite rich in natural oils that provides its weather-resistant qualities. In addition to decking, its also popular for parquet flooring. Mahogany: For the purpose of deck construction, this tree species falls into two wide categories. The more exotic category is Philippine Mahogany (Meranti); the other is American Mahagony. Meranti is not as quite as durable or stable as American; its desirable chiefly for its wider color spectrum. The cost varies but it can be purchased for as low as $1.15/linear foot for 1 X 4 (2.54 X 10.16 cm) lumber.